I had been working as a technical training assistant for a couple of years and felt like I had reached the ceiling of where I could go with the company. I was making $35k and while I wanted to make more, I didn’t see the opportunity to move up within the company. I liked the people but I knew if I was to grow and learn, I needed to move on. I started looking for jobs and found one that sounded interesting on LinkedIn. It was a project management position for a startup. I had no previous project management experience and I really didn’t know exactly what a startup was or the risks and benefits from joining an early stage company (at the time the company had two rounds of funding and was not yet profitable). After a few interviews at the very small company, the president called me with an offer. I was really excited to get out of my current role and start with a very fast growing an exciting company. He told me the salary for the position would be $42k and I was excited to not only get the position with no project management experience but also get a raise. It felt like a huge win. After the initial excitement wore off, I called a friend to talk with her about the job. I’m not shy with talking about money with close friends, so I told her how much they offered me. I then asked her if she thought that was fair or if I could ask for a bit more. She told me that not only could I negotiate, I absolutely should negotiate. She gave me a much-needed pep talk because I really didn’t believe I was worth more. I had no projected management experience and no experience in a startup company. They were basically just trusting that I’d be able to learn quickly on the job. Why should I ask for more? Thank goodness I consulted a friend because once I told her my hesitations she helped me to figure out how to position my ask. We drew parallels between my current role and the job they were offering me. 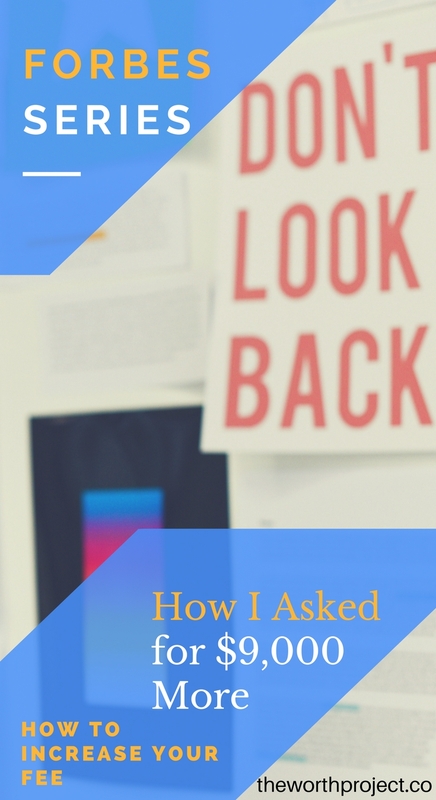 While I didn’t have the exact experience, I focused in on some launches I had helped facilitate, my strength in organization, and my history of being able to get a team rallied around a project. I was thinking of asking for $5k more, but again my friend pushed me. She asked me “what is a number that you think is just out of reach?” I settled on $53k, which would be an extra $9k – more than I thought they would be willing to pay, but not an outrageous amount. Armed with my qualities and the amount I would ask for, I sent the president a note and asked if we could have a call to discuss the offer in more detail. The next day at lunch I sat in my car in the parking lot of my current job and called to negotiate with the president of the startup. I was shaking as I sat there, but I tried to keep my voice steady. After a few pleasantries, I dove in and asked if the salary was negotiable. He replied that we could discuss it. I launched into what I felt I brought to the role and how I knew I would be able to deliver big results. But in light of the experience I brought, I felt like a more appropriate salary was $53k. He was clearly expecting me to ask for more and like any good business owner, he pushed back. He highlighted all of the opportunities that I’d have and how great it was to get in early with a new company. We went back and forth but I politely stood my ground emphasizing that yes, I was excited, but I also brought more to the table than $42k. They came back with an offer for $49k plus 200 shares. I was thrilled with that amount and accepted immediately. Ask for advice! 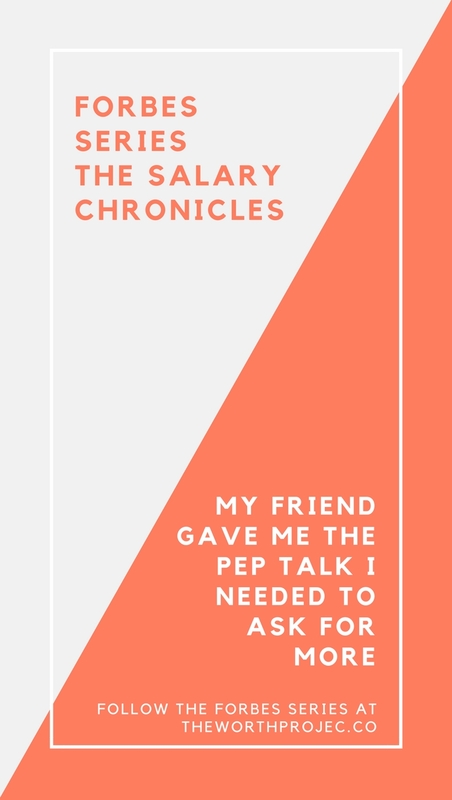 Had I not talked to my friend and gotten a pep talk from her, I would have missed out on an extra $7k per year. Find someone who you trust and ask them to help you objectively think about the offer you’ve received. When asking for advice, don’t limit yourself to only talking with other women. Shortly after this experience, I was talking with a male colleague and he said he expects a 30% pay bump when he takes a new job. I was shocked! It really highlighted the difference in confidence between men and women. After hearing him articulate his expectations in a salary increase, I now find myself wanting to be even bolder with my negotiation in the future.